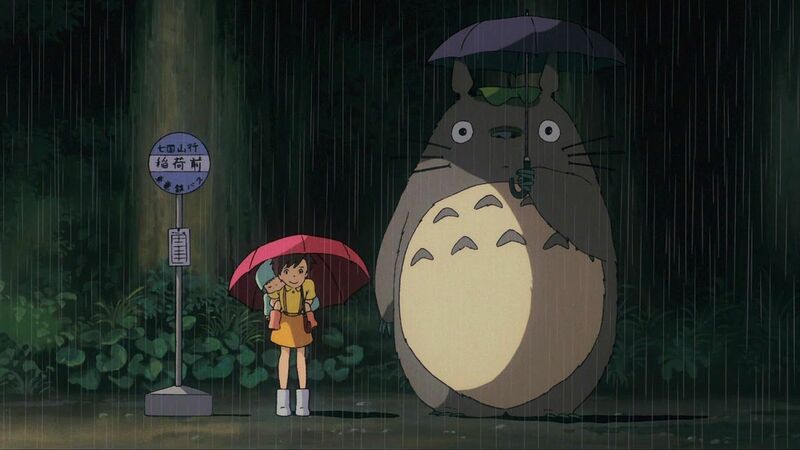 Sorry this is a little late (over a week, I know...), but here's the recording from our discussion of My Neighbor Totoro. It was a really good discussion of what it means to be a child, how that should inform our view of the world even as we age, and what it looks like to be willing to see the unseen in our daily lives. There is so much more to explore with this film, and once again an hour felt too short, but hopefully it at least sparked some thoughts and questions for you. Below are some links I thought were cool for further exploration. TOTORO instead feels like a total anomaly among animated film or even kid's fare in general: a completely naturalistic film, driven by no consistent plot but the emotional state of its central girls, from whose imagination and feelings the entire film erupts around them. Maybe it's weird to call a film with giant creatures and Catbuses "naturalistic," but how else to account for a film that so patiently treats every variation in its characters' emotional state, where kids rejoice when they find out a delightful fantasy was a dream as if thrilled their minds could conjure such a scenario? So many animated films, including some of Miyazaki's are busy, designed to keep their young, impatient viewers' attention. TOTORO trusts that kids want a break and just to observe as much as grown-ups do, and for that it is unmatched.